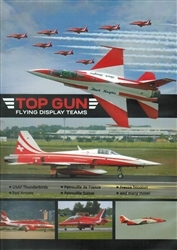 Top Gun Flying Display Teams DVD. 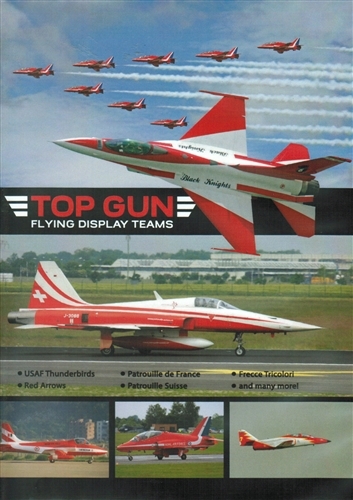 Only the best military aviators in the world can claim to be Top Gun Display warriors! These brave men and women risk their lives flying wingtip to wingtip to spread their country's colors at airshows around the world! This program features an incredible variety of teams from the UK, Australia, Italy, Spain, the USA, France, Brazil, Chile, the UAE, Singapore and India.